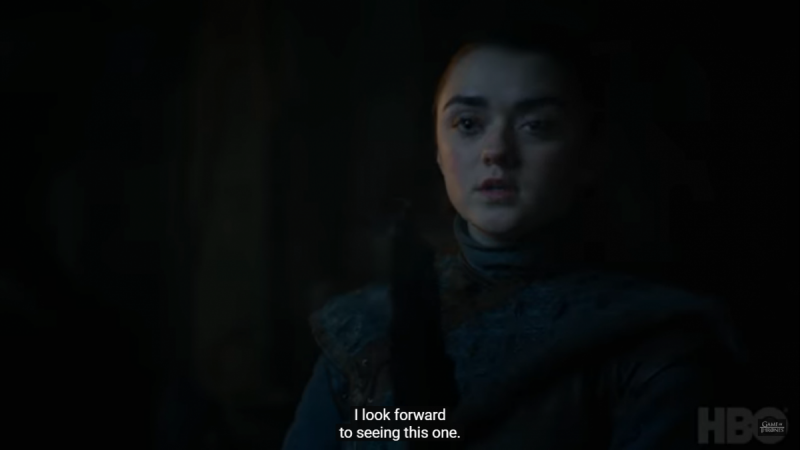 In Game of Thrones season 8 episode 1, Arya Stark met Gendry and asked him to make a mysterious weapon. Game of Thrones season 8 episode 1 titled "Winterfell" was an emotional rollercoaster ride for several of us but what amazed several fans was Arya Stark's flirtatious conversation with Gendry that led to something amazing. In the very first episode of Game of Thrones season 8, we saw Arya Stark's reunion with Jon Snow. The reunion was short and brief but made several of us go and fetch for tissues. 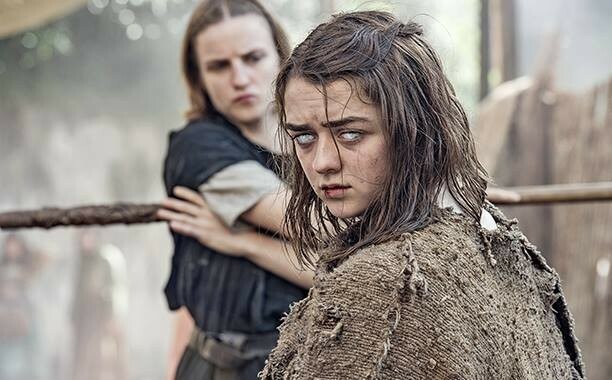 Apart from Jon Snow, Arya Stark met with another friend of hers and now fans are wondering the fate of Game of Thrones season 8 episode 2. In the Winterfell, Arya Stark reunites with Gendry, who is also a blacksmith and asks him to make her a mysterious new weapon. Fans got to see the weapon only for a few seconds but we are quick to spot that the weapon has two parts. The upper part is triangular in shape and will be made of dragon glass and a handle that will fit the upper part. In season seven, it was shown that Arya Stark has got her hands on an unnamed dagger made of Valyrian steel. She used the same knife to slit the throat of Lord Peter Baelish. At the same time, she possesses her sword, Needle, which Jon Snow gifted her in the very first episode. Both the weapons have served her well and as per her, she is fond of lighter weapons. So, why has she asked Gendry to make her a new weapon? For starters, the very first thing that popped into fans' mind was that she was making the weapon not for her but for either Sansa Stark or Bran Stark. What I mean by this is, in the events to come, when the Night King will arrive in the Winterfell, Bran and Sansa Stark will be surrounded by their well-wishers. Besides this, Bran can warg himself into literally anyone — we are waiting to see him control one of the dragons — so he will be safe when the Night King will march the walls. But what about Sansa Stark? How is she going to save herself? This thought might have crossed Arya Stark's mind too and that is why she might have asked Gendry to make something like this for her eldest sister. This secret weapon can be thrown from a distance and can even be used as a crossbow. We will get to know more about Arya Stark's secret weapon when Game of Thrones season 8 episode 2 will air next Sunday on HBO.